This course was designed to be taken on a desktop or laptop computer screen i.e. not a tablet or smartphone. 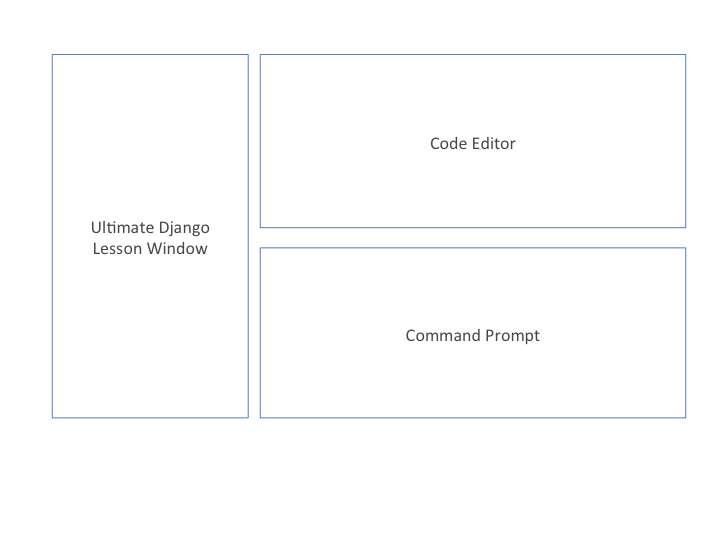 Ideally, you'll have this course open alongside your code editors, command line tools, and browser. You'll notice that each lesson has a button called 'Slim View' next to its title. If clicked, this will open a slimmed down (minimal chrome) browser window that you can align next to your other desktop windows. Here's an example of how you might want to lay out your screen to make it easier to take this course.